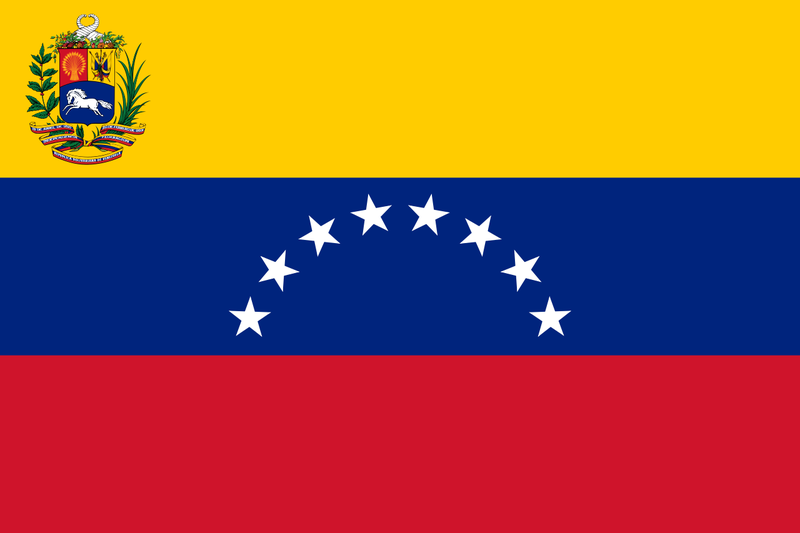 Español: Bandera Nacional de Venezuela, cuando es usada por el estado venezolano. English: State flag of Venezuela. Français : Drapeau national du Venezuela. Author Various, see File history below for details. See also: en:Flag of Venezuela n en:Coat of arms of Venezuela. current 17:03, 28 Januar 2019 900 × 600 (239 KB) FDRMRZUSA Optimized: reduced svg code and checked by "Commons svg checker" before upload. No other changes. 14:18, 28 Januar 2019 900 × 600 (257 KB) FDRMRZUSA Reverted to version as of 10:13, 24 October 2018 (UTC): previous version is bad svg. 07:22, 25 Januar 2019 900 × 600 (2.25 MB) =*= XHCN Quang Minh =*= Upload proper SVG file. 05:44, 25 Januar 2019 900 × 600 (410 KB) =*= XHCN Quang Minh =*= Better quality image. 04:04, 25 Januar 2019 900 × 600 (257 KB) =*= XHCN Quang Minh =*= Sorry, un-reverting and re-reverting to add source of correct flag.